How Far is Pinnac Westend Residency? Pinnac Westend Residency is a residential project developed Pinnac Group. 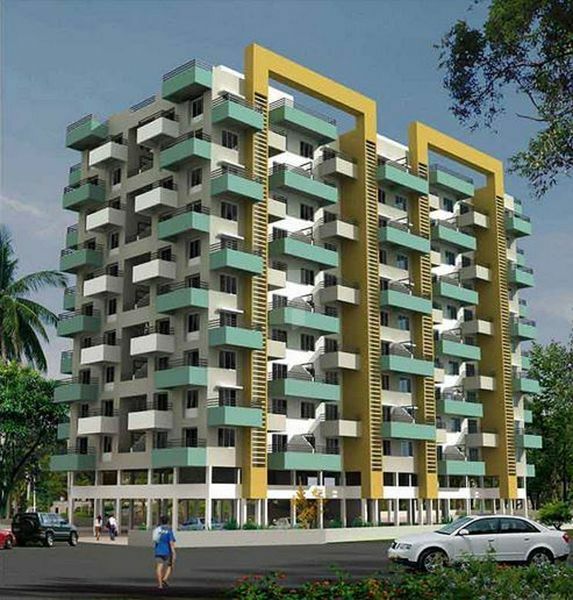 The project offers very well designed 2BHK apartments. The project is well connected by various modes of transportation. The site is in close proximity to various civic utilities. R.C.C. frame structure, external and internal 6” thick brick masonry walls. Good quality laminated internal flush doors with wooden or plywood frame and Laminated main door with wooden / plywood doorframe with good quality CP fittings. Powder coated aluminum sliding windows with mosquito net shutters and natural stone sill and M.S. Grill. 24”x24” Vitrified flooring in all rooms with 3” high skirting, 12”x12” Antiskid Ceramic Flooring to the Terrace. Plain color glazed ceramic tile dado up to lintel level. One EWC and one hand wash basin and one hot and cold mixing unit in attached toilets. One EWC and one hot and cold mixing unit in Common toilet and One Hand wash basin in common passage. Concealed plumbing with chromium plated fittings and natural stone door frames. 9’-6” Length and 2’-3” wide Jet black Granite top kitchen Platform with stainless-steel sink and glazed tile dado upto lintel level above kitchen platform. Plumbing provision for water purifier in Kitchen. Staircase, Landing and mid landing finished with Kotha or equivalent stone, Common passage will be finished with Vitrified tile or natural stone or equivalent. Concealed copper wiring with modular switches shall be provided. Living Room - 2 Light points, 1 fan point,3 no 5Amp board plug,1 T.V. point and Telephone point and one door bell. Kitchen - 2 light point, 1 exhaust fan/chimney point, 2 no 5Amp board plug and 1 no 15Amp Point, 1 fan point. Passage - 1 Light point, 1 15 Amp for washing machine. All internal walls Neeru plastered finished with oil bond distemper paint and external wall sand faced plastered with Acrylic External Quality Paint.